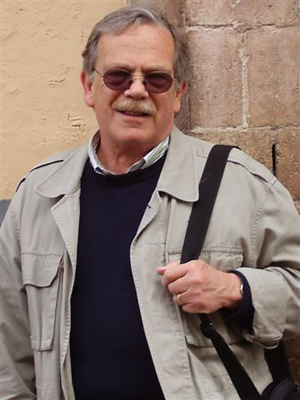 Eric Van Young, professor of history at UC San Diego and a specialist in the history of colonial Mexico, has won a Guggenheim Fellowship for 2011-12. Van Young has about 200 “fairly polished” pages of his first draft written, but he estimates it will take him another five years or so to finish “what is likely to be a quite long book.” He hopes it will be published not only in the United States but also in Mexico in a Spanish translation. Van Young has been on the UCSD faculty since 1982. He has chaired his department, has been associate director of the Center for U.S.-Mexican Studies and has served as interim dean of the Division of Arts and Humanities. He has written on the rural economic history of colonial Mexico, the Wars of Independence, and the cultural, social and political history of the 19th century. He is the author of the critically acclaimed books “Hacienda and Market in 18th-Century Mexico: The Rural Economy of the Guadalajara Region, 1675-1820” and “The Other Rebellion: Popular Violence, Ideology, and the Mexican Struggle for Independence, 1810-1821,” and others. In 2007, Van Young was inducted as a corresponding member of the Mexican Academy of Sciences, a rare honor for a foreigner. His inaugural lecture on the occasion, at the National University in Mexico City, was about Alaman. Want to keep up with what is happening at UC San Diego? Subscribe to This Week @ UCSD. It's free!